We’ve had so much rain in Brisbane recently the cravings for those typical winter comfort desserts, such as crumbles, puddings and pies, kicked in. 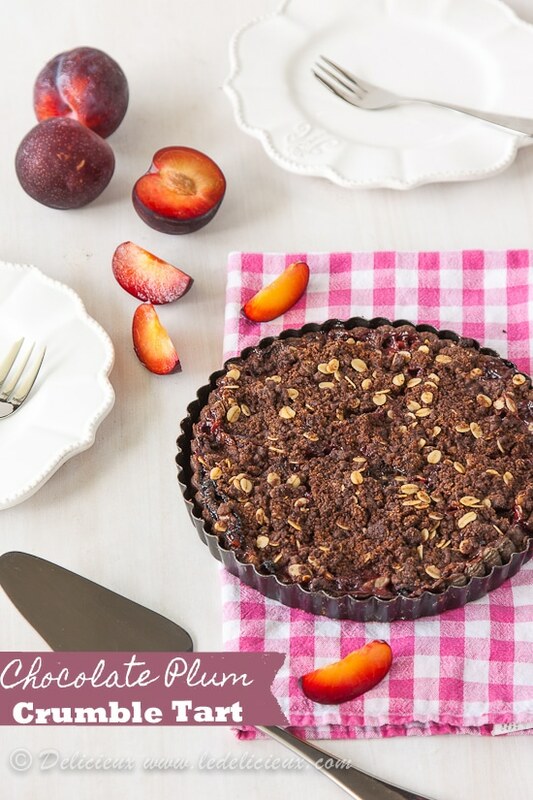 And so it was last weekend I found myself making this Chocolate Plum Crumble Tart. For the pastry I adapted Maggie Beer’s infamous Sour Cream Pastry recipe. I’d been wanting to try it for years, but rarely having sour cream in the house I’d never gotten around to it. But with an abundance of homemade yoghurt I decided to give it a try with, you guessed it, yoghurt and a little cocoa to satisfy my chocolate cravings. Although I’m sure it’s not as rich as Maggie’s original, it worked beautifully. Maggie Beer is certainly a genius. For the filling, I went with a simple combination of roughly chopped plums, sugar and a sprinkle of cinnamon, which was then topped with a generous chocolate crumble topping. Served warm it’s fabulous with a dollop of cream, but it’s also fantastic cold too, especially with a cup of green Early Grey tea. Begin by making the pastry. 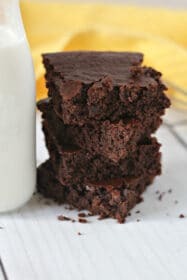 Place the flour and cocoa in a food processor fitted with a chopping blade and process to combine. Add the butter and pulse until the mixture resembles fine breadcrumbs. Add the yoghurt and continue to pulse until the dough starts to form a ball. Remove from the food processor and wrap in plastic wrap and refrigerate for 30 minutes. Roll out the pastry until roughly 3mm thick and line a 30cm (12 inches) loose bottomed tart tin. Prick the base with a fork and refrigerate for 30 minutes. Make the crumble filling by combining the flour, butter, cocoa, sugar and oats in a mixer fitted with a paddle attachment. Mix until the mixture resembles breadcrumbs. Refrigerate. Preheat the oven to 180 celsius (350 Fahrenheit) and line the tart with baking paper and pastry weights or beans. Bake for 15 minutes. Remove the baking paper and pastry weights and bake for another 5 minutes or until the base is dry. 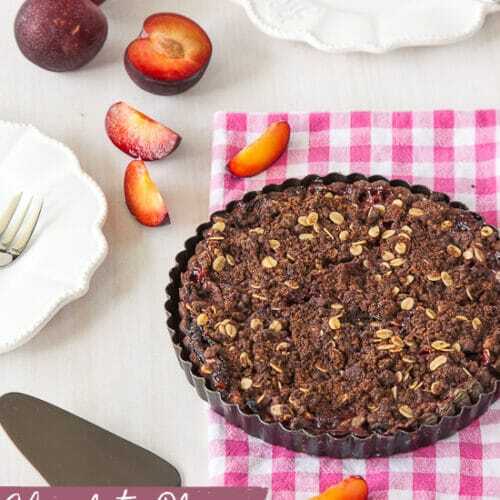 Make the filling by combining the plums, sugar, cinnamon and flour in a bowl and then arranging over the tart base. Top with the crumble mixture and bake for 35 to 40 minutes or until the juices start to bubble through the crumble topping. The pastry recipe will make more than is required for this tart. Wrap up remaining pastry in plastic film and freeze. I love a good crumble but have never thought to do a chocolate one. Thanks for the idea. The tart looks beautiful and your photography is stunning. Love the flavours here Jennifer as plums are just magnificent. And yes Maggie Beer is a genius! Beautiful! I love the idea of the cocoa in the crust. I love Maggie’s crust and to be honest I love everything she makes. I can’t wait to try this crumble. WOW! This really does look delicious! I wonder if I can call it a healthy tart… I know I want to eat it now! I bet that pastry would have been good enough to eat on it’s own! I quite often use yoghurt instead of sour cream in baking and haven’t gone wrong yet. Looks lovely Jennifer and I know what you mean about winter cravings. Hasn’t the weather been awful? Great for baking and staying indoors though. The weather has been awful. It’s such a shame. Thankfully it’s not raining though. I hope that we get to experience a few weeks without rain. 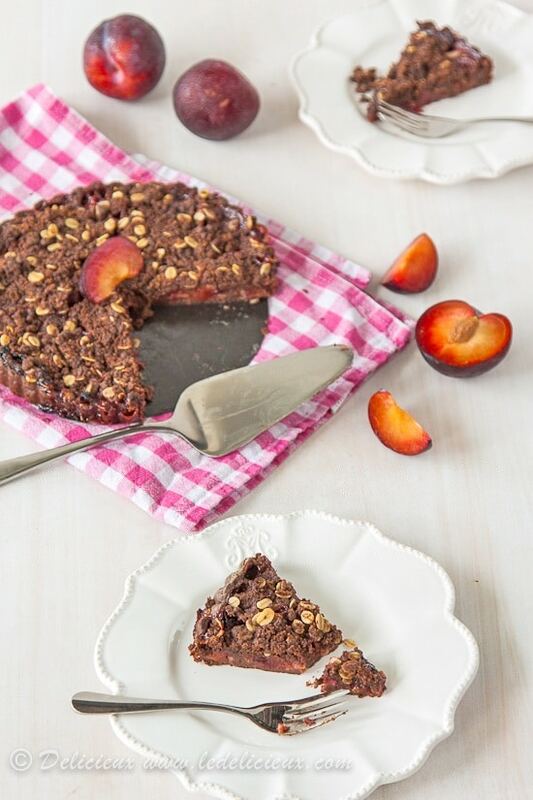 I love plums and think they are highly underused… pairing them with chocolate is a delicious idea! Exquisite! That is such a wonderful combination. Plums are some of my favorite fruits. 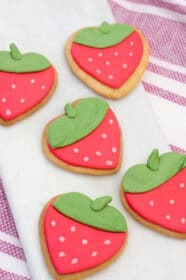 They are perfect for baking.